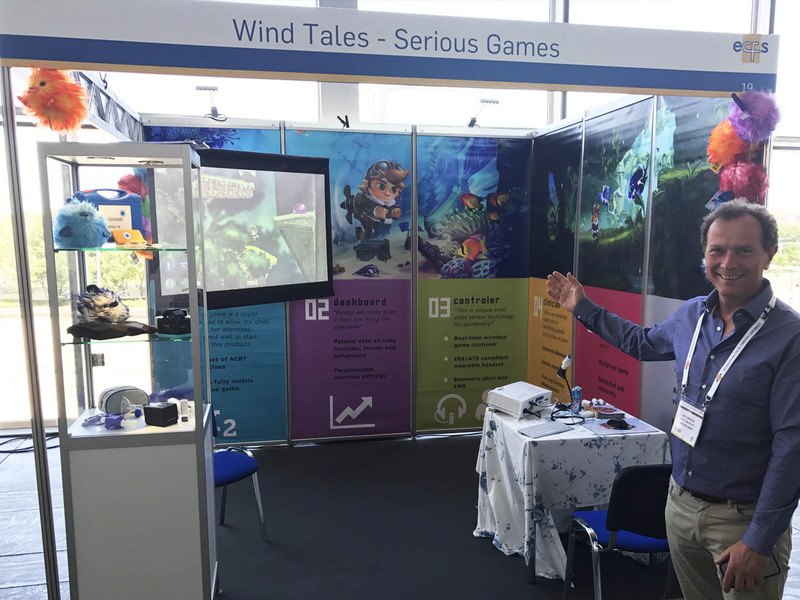 Wind Tales has been present at the European Cystic Fibrosis Conference in Seville in Spain. The game and spirometer game controller have been used by many of our visitors. We are very pleased with the result and feedback by capturing more than 50 qualified leads to cooperate and pilot our first to be released system with leading institutes. Invitations to present and demonstrate at upcoming local and national CF and lung physiotherapy meetings in France and the UK between September and November of this year and our visit to the CF conference in the USA will provide a beautiful platform for the upcoming launch of the system.